Cultural Competency | It's Academic, Librarian. A few years ago after a staff meeting where diversity, higher education communication, and delivering services held central to the discussion, a manager approached me and a colleague inquiring about a term used during the meeting – cultural competency. Their role in library administration revolved around budgeting, consortia and vendor relationships, and staffing without any contact or engagement with library users and they found themselves a little behind on some recent trends. They were puzzled by the term used and confided that they had never heard of it and from their perspective, the term “diversity” as used at the strategic plan level was enough to support the library’s position when relating to users. I could not disagree with their overarching perspective; however, understanding that the global meaning of diversity is quite different from demonstrating, embracing, and fostering diversity as an agent in the action of designing and providing services to a diverse library user. 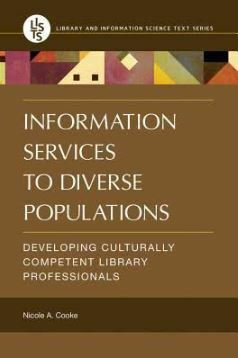 In 2012, the American Library Association (ALA) established Diversity Standards: Cultural Competency for Academic Libraries developed by the Racial and Ethnic Diversity Committee of the Association of College & Research Libraries (ACRL). At the time these standards were adopted, and two years into this profession, those competencies resonated with me. I committed myself to developing a strong set of cultural competencies. Of particular note to me was a line in Standard 2. Cross-cultural Knowledge and Skills that states “cultural competence is not static, and requires frequent relearning and unlearning about diversity. ” Building cultural competencies occurs in many ways including formal learning settings and informal experiences. It is the face-to-face interaction that provides opportunities to send, receive, and process verbal and non-verbal communication and online interactions require greater sensitivity to linguistical differences and socio-economical experiences (Overall, 2009). Librarians are working on the front line at various library service points where opportunities to experience and engage in face-to-face communications with users demonstrating their established and emerging cultural competency. Cultural competency extends beyond understanding the concept and supporting theories. Cultural competencies are the constellation of behaviours and an empathy expressed by an individual or institution toward a person or community. 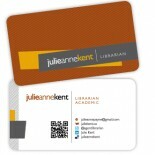 Academic library services are often developed with a homogeneous user group in mind – the university or college student. However, that group is exceedingly diverse in culture, socio-economic bearings, religious beliefs, and geographical locations. What services, spaces, and programs are academic libraries developing to demonstrate their institution’s cultural competency? During my tenure at a mid-sized comprehensive university, I learned from librarians and colleagues at the International Centre and those working in the Writing Centre that students from India or Pakistan use the library differently from domestic students and differently again from students arriving from Asia. The library provided barrier-free spaces open 24-hours a day responding to the needs of students from India and Pakistan who used the library as a central location for all their on-campus activities. Students from Asian countries found it more challenging to use academic libraries “because of their unfamiliarity with using such libraries for research purposes in their home countries” nor do they understand the role of the professional librarian (Liu, 2009). The library responded by introducing “pop-up” library service stations in the International Education building drawing students to the kiosk to participate in hands-on problem-solving games highlighting library resources and online resources. These kiosks served to provide information about library resources for International students and educating students about the role of the librarian in their studies. Developing cultural competency is ongoing and ever-changing. I have taken many courses, read several books, participated in workshops, worked on committees, and collaborated to develop culturally respectful and responsive services and programs in the academic library environment; however, I am keenly aware there is much more for me to learn and understand. Here are some resources to consider when developing foundational cultural competency skills. This entry was posted on 05/26/2016 by Librarian and Information Scientist in Collaboration, Competency, LibGuide and tagged collaboration, competencies, Competency.